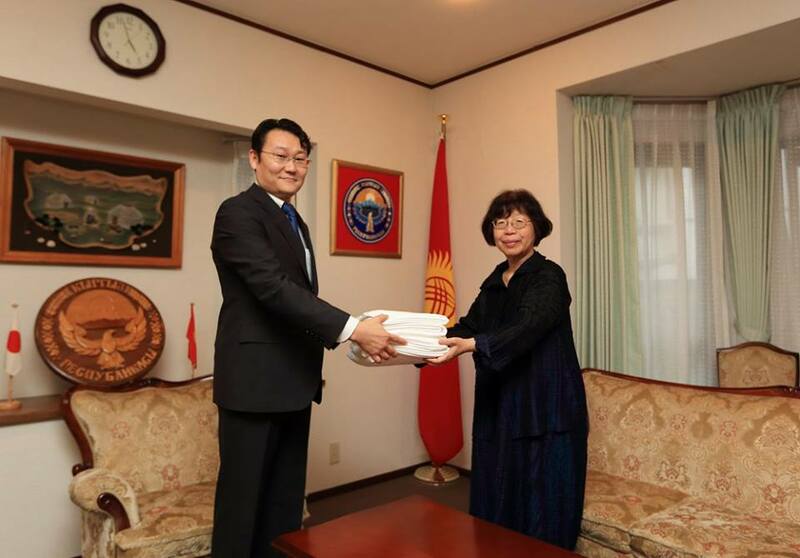 Visited the Embassy of the Kyrgyz Republic. Visited the Embassy of the Kyrgyz Republic to return thanks for the Kick-off Party for the Biggest Painting in the World on May 28. We presented cotton sheeting for the painting to His Excellency Mr. Rysbek MOLDOGAZIEV.